Let's Cut some Heart Snowflakes! 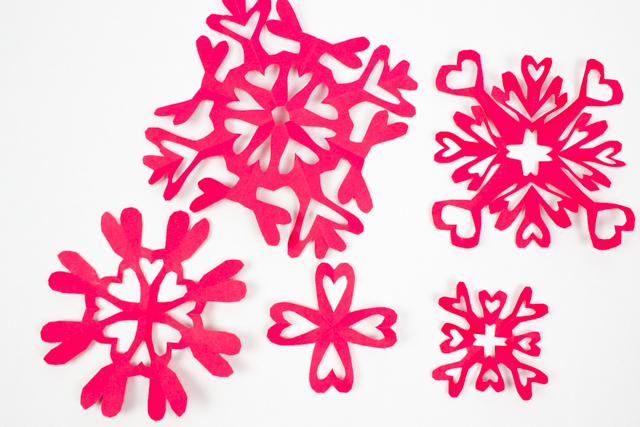 To cut out these snowflakes, simply grab a sheet of red (or pink, or honestly whatever color) paper. 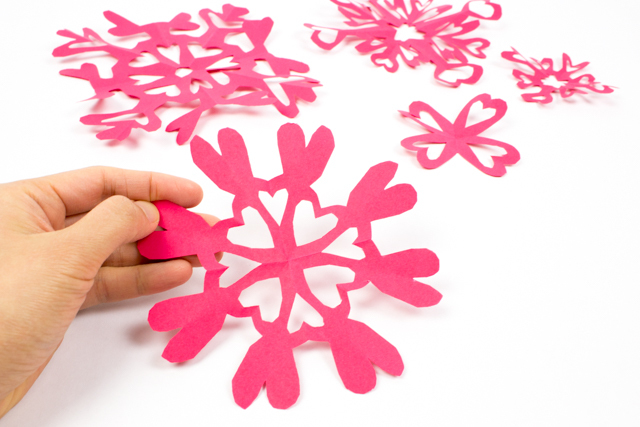 Fold up your sheet of paper as if you were cutting out snowflakes. Then, call forth your inner cherub and cut out tons of hearts! 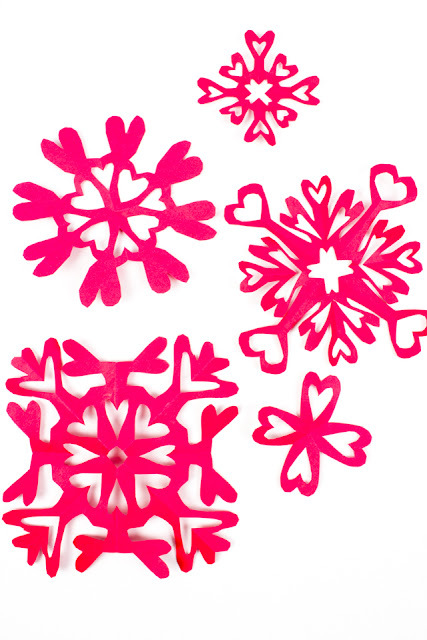 Open up your snowflakes and reveal some lovely, heart-felt (ha ha, get it?) designs! Oh the hearts! I swoon! 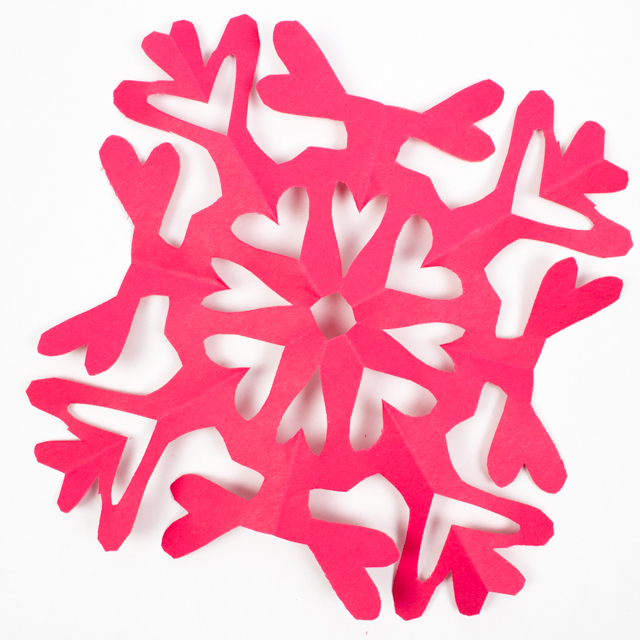 And if you're looking for more awesome heart craft ideas, check out the links below!